Many students think that they don't qualify for financial aid and because of that, they don't think they should bother to complete the FAFSA. It's important to know that the FAFSA is not just used to determine eligibility for federal student aid, but it is also used by states, colleges, student loan lenders, and even some scholarship sponsors. Education: To be eligible for federal aid, the student must have a high school education. This can be accomplished through attendance and graduation from a standard high school, receipt of a GED certificate, or through a home school setting that is approved by the state in which you live. Citizenship: You must be a U.S. citizen, a U.S. national, or an eligible non-citizen to qualify for financial aid. In certain circumstances, students may be eligible for financial assistance even if their parents are not U.S. citizens or permanent residents. Registration: In most cases, you will need to provide a valid Social Security identification number. Males over 18 must demonstrate that they have registered with Selective Service. Academics: You must be enrolled or accepted as a regular student at a school which offers an eligible degree or certificate program. Once school begins, you will need to make satisfactory academic progress. Income: In general, there must be some type of demonstrated financial need to qualify for certain types of federal financial aid, but there is no income cap. Financial aid comes in many forms and is unique to each situation. Household size, age of parents, and number of students in college affect aid eligibility, as well as any extenuating financial circumstances. Even if you think that you will not qualify for any assistance but want to apply for federal student loans, you will still need to complete the FAFSA. Age: There is no age limit for receiving federal student aid. Criminal History: Eligibility for federal student aid may be restricted if you are currently incarcerated, have been convicted of a drug offense, or have been subjected to an involuntary civil commitment after being incarcerated for a sexual offense. Sworn Statements: You will be signing the FAFSA either as a paper document or through the use of an FSA ID, and attesting to the fact that you are not currently in default on a federal student loan and do not owe any refund on a federal grant that you previously received. You will also be stating that any federal student aid received will only be used for educational purposes. Race: Federal student aid programs make no distinctions based on race. Field of Study: There is no limitation on the field of study, only that you must be enrolled at a qualifying school. Capability: Students with certain intellectual disabilities may be eligible to receive funding from the Pell Grant, Federal Supplemental Educational Opportunity Grant, and Federal Work-Study programs. 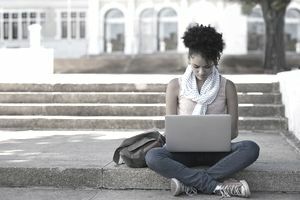 If you are uncertain as to whether any of these qualifying factors apply to you, you can contact Federal Student Aid, the college to which your student is applying, or a professional college financial aid advisor. With so many programs and exceptions, it could be well worth the time and dedication to complete the FAFSA in order to determine whether there are any non-federal programs for which you qualify. What Happens After You File the FAFSA?